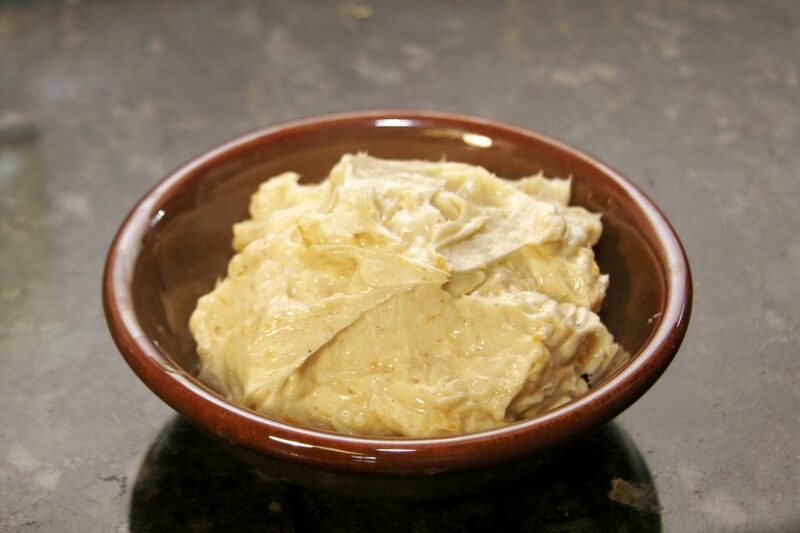 This lightly sweetened whipped orange butter is wonderful served as a spread for quick bread, muffins, waffles, or pancakes. For a sweeter butter, add some whole berry cranberry sauce or replace the orange juice with sweet orange marmalade. See the variations below the recipe. Combine ingredients in a small bowl and beat with a mixer with a whisk attachment or by hand until well blended. Refrigerate until serving time. This is delicious spread for quick breads, biscuits, pancakes and waffles, or muffins. Replace the orange juice and zest with 1 tablespoon of sweet orange marmalade. Add 1 to 2 tablespoons of whole berry cranberry sauce for orange cranberry butter.